THE 2015 Australian Senior Ranking competition is well underway with six of the sixteen events to be held in 2015 now complete. The most recent were the two events that make up the “West Australian Double” – The Lake Karrinyup Seniors and the West Australian Senior Amateur Championship. 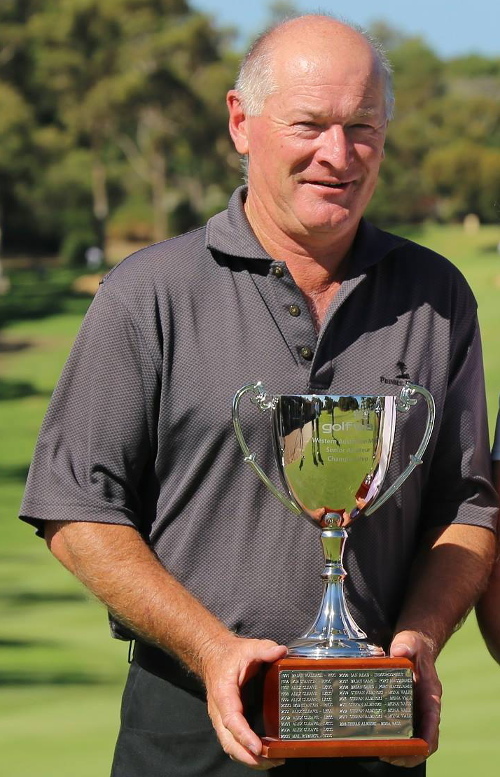 The winner of the 2015 Lake Karrinyup Senior Classic was the defending 2014 champion Nigel Goodall (pictured above right receiving his trophy) and he now has the rare honour of successfully defending a major event on the Australian Senior Order of Merit calendar. A local member at Lake Karrinyup, Goodall led after the first round with a score of 73 and then followed this with a very steady round of 74. Goodall also led all the way in his 2014 win and clearly he is the golfer to beat on the Lake Karrinyup course. His 147 total gave him a two stroke margin over West Australian John Banting (77-72=149) and Victorian visitor Barry Tippett (74-75=149). Tied for equal fourth place were a trio of West Australians, Neville Delane (79-72=151), Ian McPherson (77-74=151) and Trevor Hughes (77-74=151). The second place ranking points earned by Barry Tippett saw him move up the overall Australian Senior Rankings table as did Ian McPherson. John Banting’s second place cemented his place inside the national Top 10. Following straight after Lake Karrinyup was the 2015 West Australian Senior Amateur Championship at Royal Fremantle Golf Club. The winner was a relative newcomer to senior golf, Martin Minogue from the Lakelands club in Perth. Minogue was playing in his first WA senior title and started the final round a stroke behind overnight leader Trevor Hughes, and in equal second place with the emerging Victorian star, Barry Tippett. This trio were grouped together and had a very eventful final round in quite difficult conditions. Leader Hughes began the day with two holes he would love to forget – a quadruple bogey 8 on the first followed by a triple bogey 8 on the second. A front nine of 46 was followed by an even par 36 on the final nine to finish with a round of 82. The horrendous start had put paid to his chances and he did well to finish in third place with rounds of 75-75-82=232. In a dramatic contrast, both Minogue and Tippett played the first nine very well. Minogue was under par until the eighth where he had a triple bogey on the par three to turn in 38, the same score as Tippett who had fought back well after an opening double bogey. The tense battle between these two continued and they remained all square standing on the fifteenth tee. Tippett then bogied to allow Minogue to move one ahead and it became two when Tippett also bogied sixteen. On the seventeenth Minogue slipped with a double bogey and Tippettt picked one back. Minogue led by a single stroke playing the final hole. In very tense and exciting play both players safely parred the par five eighteenth and the prestigious title belonged to Minogue. Tippett had to be satisfied with another major placing in an Australian Senior Ranking event. Tippett’s second place, and the ranking points earned, moved him into third place on the national ranking table. West Australian’s Ian McPherson and Michael Dunsmore made up the top five. NSW senior Stefan Albinski started with a poor first round and failed to make it seven WA titles in a row. 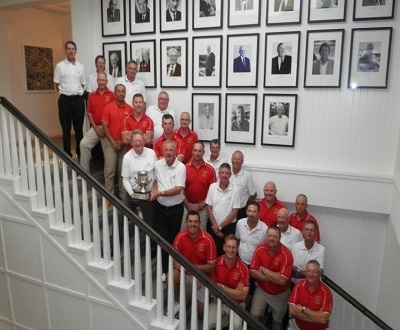 Each year, a Golf Australia Senior Team contests a match against an Australian Defence Forces team. The “Ryder Cup” event is played over two days, with foursomes and four-ball matches on day one, and singles matches on day two. The event was first played in 2007 and this year the event was again generously hosted by The National Golf Club. The younger Defence Forces team is always a strong one and they had recorded comfortable wins over the senior team in the four previous years. However, this year the top class and very determined 2015 Golf Australia Senior Team played outstanding golf and finished the tournament with a convincing win over the ADF team. After winning both the morning foursomes and afternoon fourball matches on Monday by 4 matches to 2 the Golf Australia team entered the all-important individual matches with an 8-4 lead. On the final day the weather was a major factor with very strong and cold winds making it a very difficult day for all players. After playing some great golf in the individual matches the result was again a good one for the GA team winning 8 of the 12 matches. This gave them a commanding overall winning margin of 16-8. The Old Course at The National was again presented in the immaculate condition that The National Golf Club is famous for and as usual the hospitality was above and beyond. This event is a must do for those who get the opportunity to play. The ADF golfers are always a great bunch of our finest Aussies and the senior players always feel fortunate to spend some time with them. Entries are open for the 2015 Australian Senior Matchplay Championships which will again be played at The Coolangatta Tweed Heads Golf Club on the Queensland and NSW border. Brian Sams is the defending champion. The dates for the event are June 15-17 with entries closing on May 18 – not far away and definitely a good idea to get your entry in early! As for previous years there will be 32 players in the Open Senior Matchplay and 8 in the Super Seniors (over 65 before July 15, 2015). Super Seniors can choose to play in the Open section if they wish. 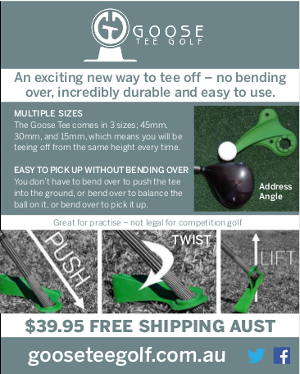 Details on this event and a list of current entries available here – 2015 Australian Senior Matchplay.